Dortmund - The options brings to the Borussia Dortmund table are plentiful, but just how good a right-back is the Yellow-Blacks' Mr Versatile? Fine-toothed comb in hand, bundesliga.com attempts to shed some light on the 25-year-old's favoured position, looking at how the makeshift full-back stacks up against some of the Bundesliga’s best for good measure. 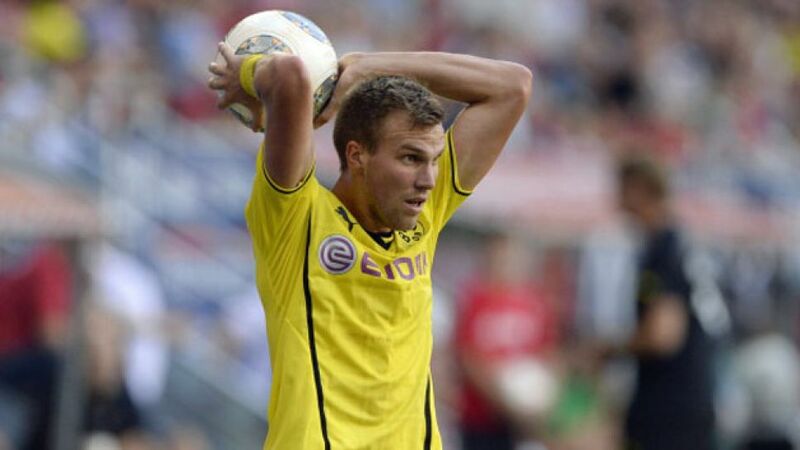 Since returning to the Signal Iduna Park in 2009, Großkreutz has made 130 Bundesliga appearances. In that time, he has scored 22 times and laid on 23 assists. On paper, that doesn’t appear all that special, but delve a little deeper and it quickly becomes apparent what a useful member of the Dortmund side Großkreutz really is. A left-sided midfielder by trade, Großkreutz has unsurprisingly posted his most consistent numbers from his favoured position: 20 goals and 18 assists in 7022 minutes attest to that. His pass completion quota is also impressive with only 21.7 per cent of 2106 attempted balls failing to find their mark, and he has come out of nearly half of his challenges as the winning party. With the latter nugget of statistical gold in mind, it is perhaps unsurprising that Dortmund head Jürgen Klopp has subsequently, for the most part as a last resort, deployed his man in the full-back positions. Granted, that’s just two appearances at left-back and only eight on the opposite flank, but since the 2013/14 campaign kicked off, Großkreutz has started all four of Dortmund’s Bundesliga outings on the right-hand side of the back four. Theoretically out of position, Großkreutz has enjoyed an average of 75.3 touches per 90 minutes at right-back. He has proved reasonably strong in the tackle, winning 54.2 per cent of his challenges, chipped in with three assists, including one this season, and completed 86.1 per cent of his attempted passes. That might seem like rather a lot to digest, but in the context of the Bundesliga's standout right-backs, it transpires that Großkreutz is right up there with the best of them. Take FC Bayern München's Philipp Lahm for example. The Germany skipper has put in fewer miles up the right-hand side and enjoyed fewer touches, albeit in three starts, while Bayer 04 Leverkusen's Giulio Donati and FC Schalke 04's Atsuto Uchida - both thoroughbred right-backs - don’t even touch the surface. If Großkreutz continues at this rate, he may even find himself picking up the phone to Germany head coach in the not too distant future. To do so, however, he has to play. Newcomer can expect to take in far more Bundesliga minutes once the UEFA Champions League gets under way and then of course there is Lukasz Piszczek, currently sidelined, but Klopp's right-back of choice. That the Poland international will usurp Großkreutz on his return to full fitness is by no means a foregone conclusion. Dortmund boast a 100 per cent winning start to the current campaign after all - and the statistics don't lie.